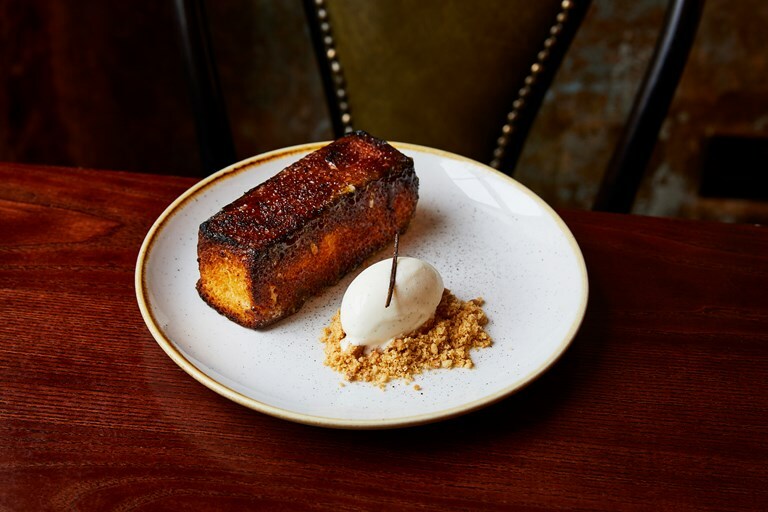 This pain perdu recipe isn't for the faint-hearted – you'll need to make the vanilla ice cream and brioche a day in advance, then leave the enriched breads to soak for twelve hours in an anglaise before giving them a final bake and blowtorch just before serving. However, the hard work more than pays off, leaving you with one of the best examples of this classic French dessert in the world. No wonder it's one of chef Jun Tanaka's signature dishes.